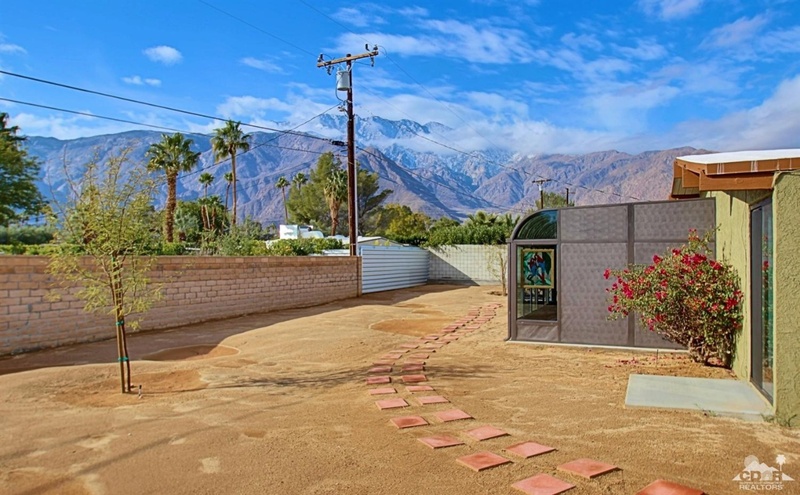 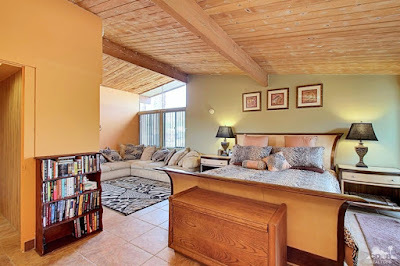 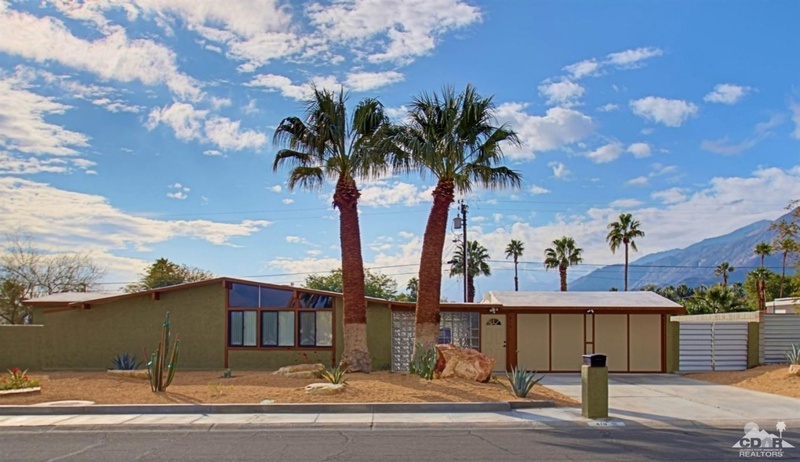 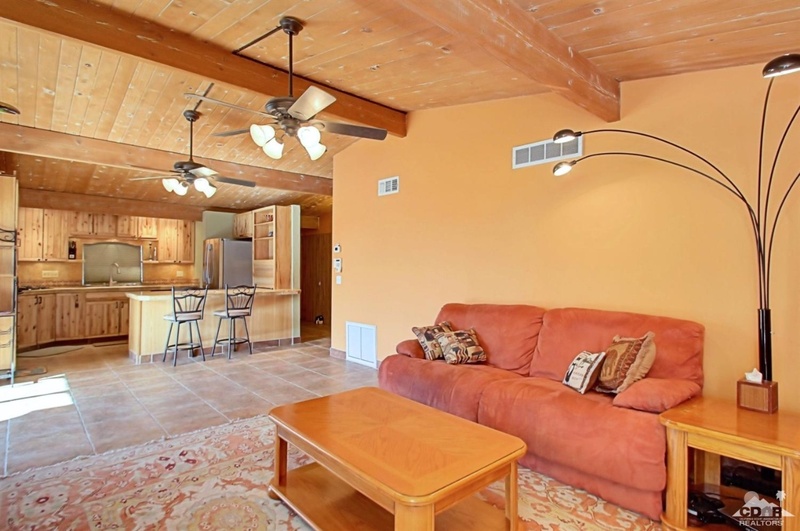 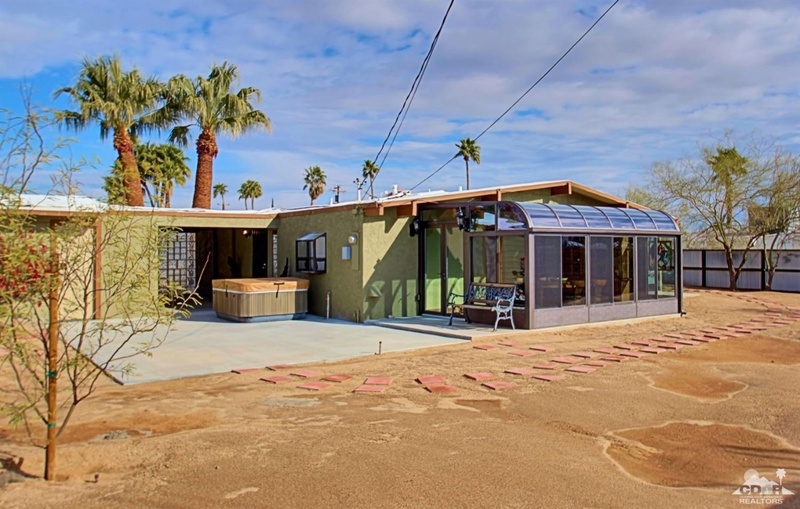 Built in 1959 by the Alexander Construction Company is this expanded two bedroom, two bathroom midcentury modern Palmer & Krisel-designed home in Palm Springs’ Racquet Club Road Estates. 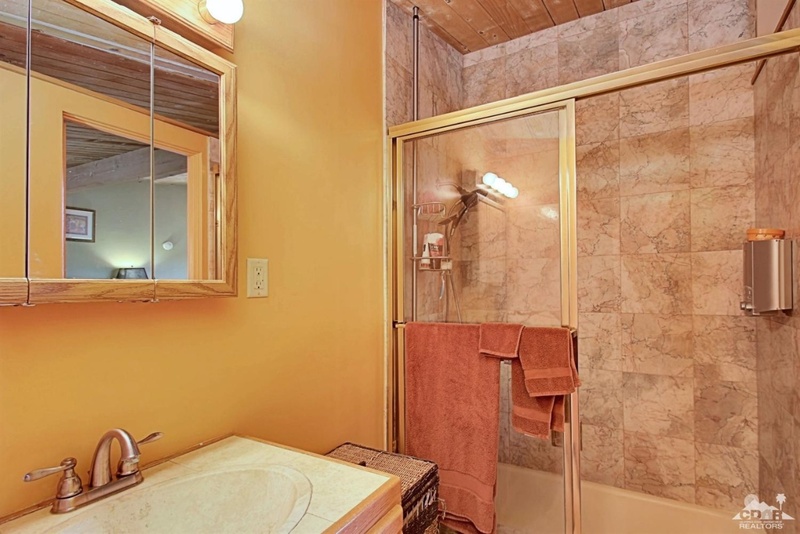 With a sunroom/solarium addition off the dining room and a walk-in closet and laundry room addition off of the master bedroom, the square footage of this home has been increased from 1,225 to 1,669. 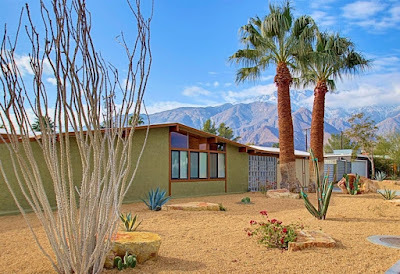 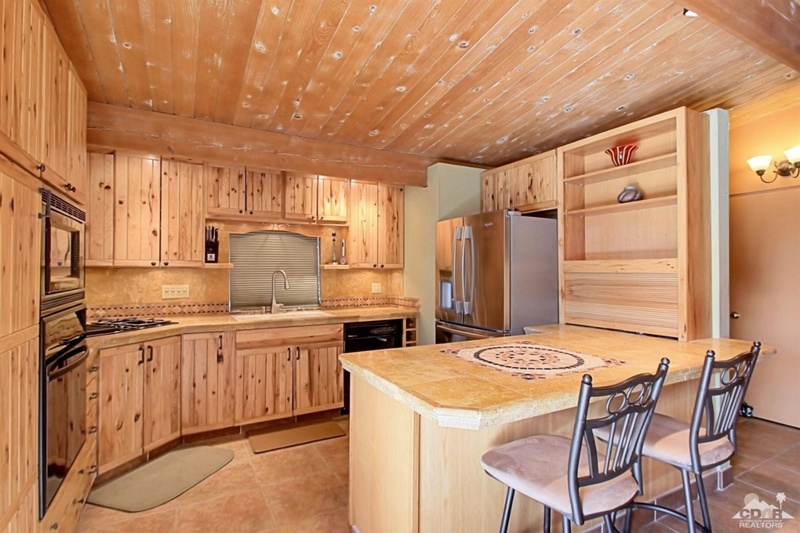 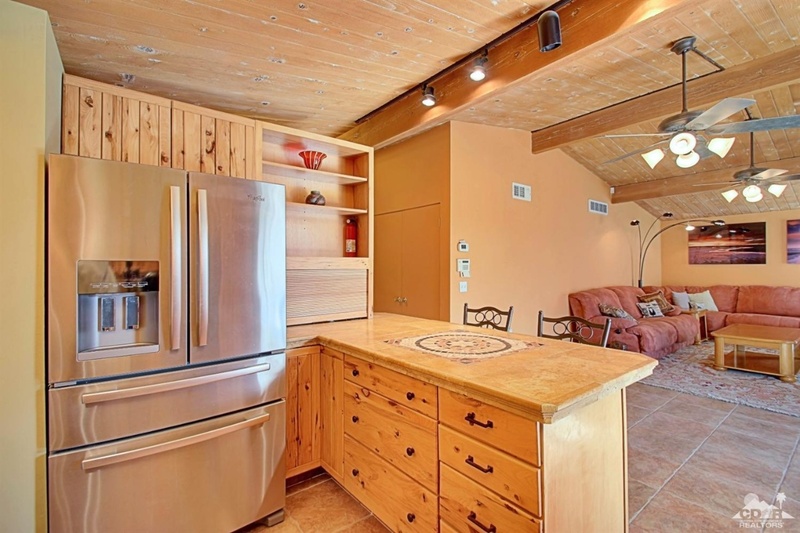 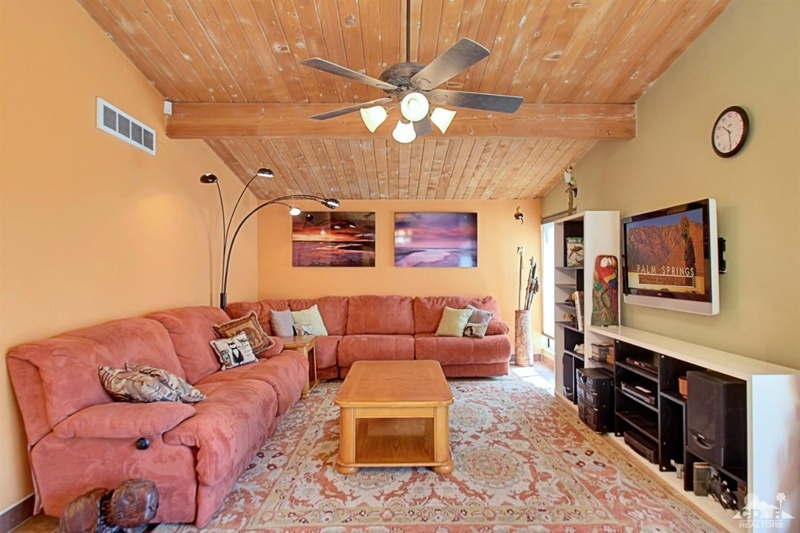 With fantastic mountain views, the asking price of this modernist retreat renovated with a southwestern flair is $528,000. Situated on a 10,400 square foot lot, the exterior of the home features freshly installed desert landscape and north/south exposure. 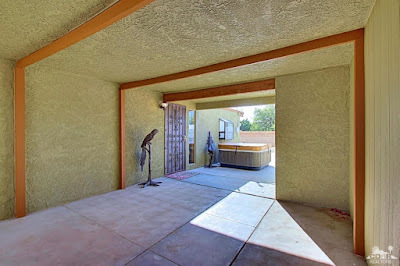 The original two-car carport has been converted to a two-car garage, and a small enclosed entry courtyard. Inside, the living, dining and kitchen are all at the rear of the home, while the bedrooms are situated at the front. The original open-beamed ceilings are still in place, and appear to have been stripped of a former painted finish. 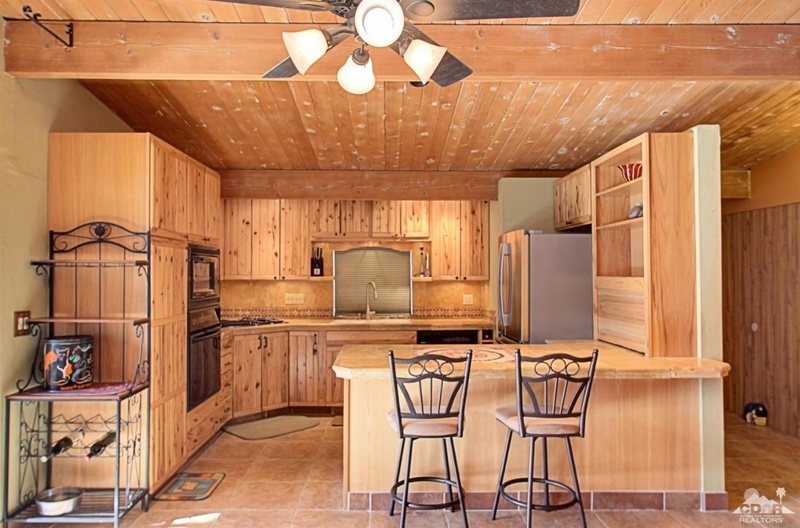 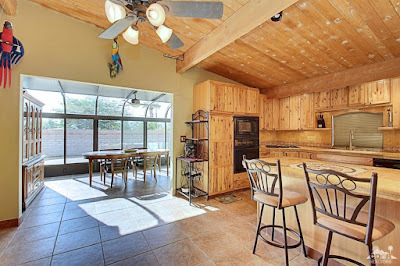 The kitchen sits just off the entry and features heavily-knotted pine cabinetry, tile counters, and a mix of black and stainless steel appliances. 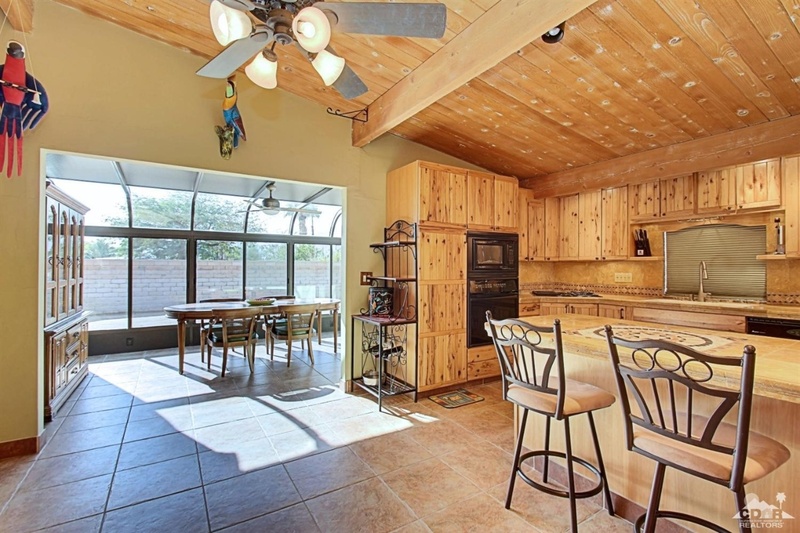 A garden window has been added above the kitchen sink overlooking the back and side yard area. The kitchen opens to the original dining room and living room, and a south-facing solarium/sunroom addition sits off the original dining room. 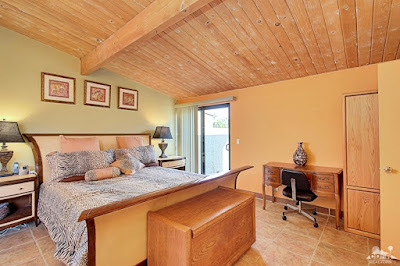 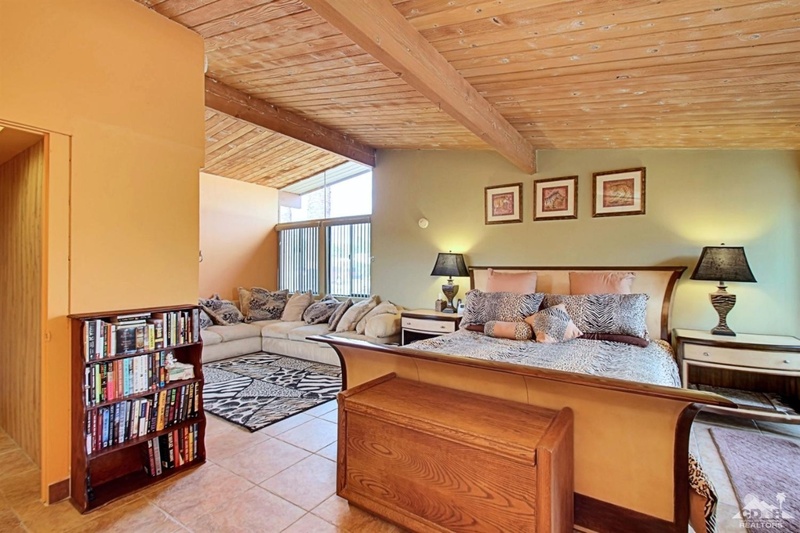 Originally built as a three-bedroom home, the master and center bedroom have been combined to create a master suite. 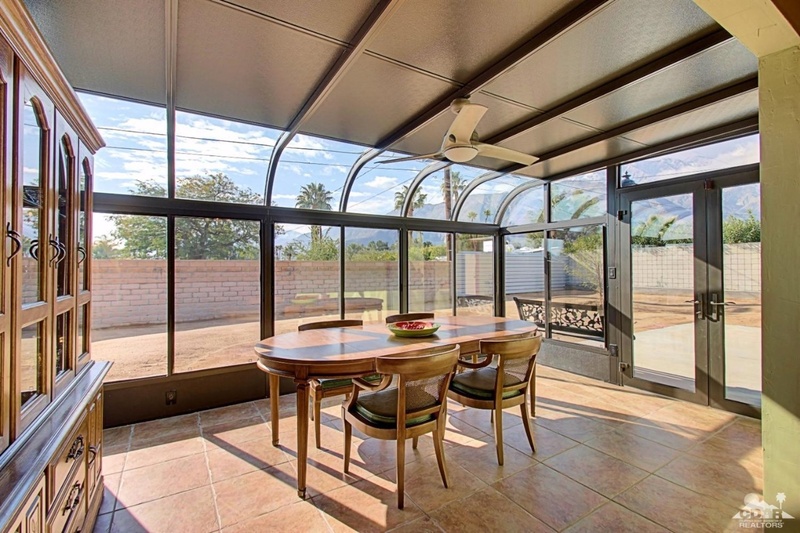 As a result the master overlooks both the front and side yards, and features north-facing clerestory windows. 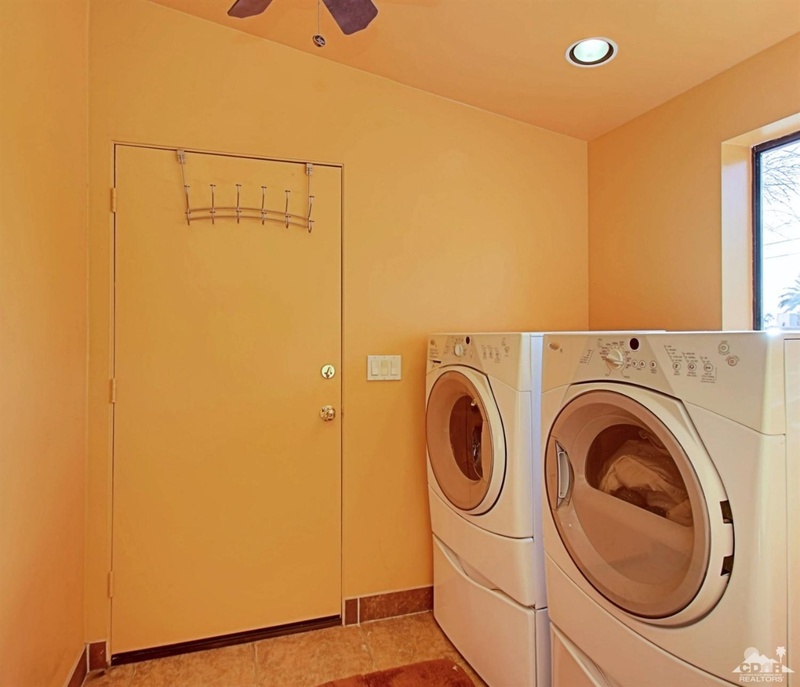 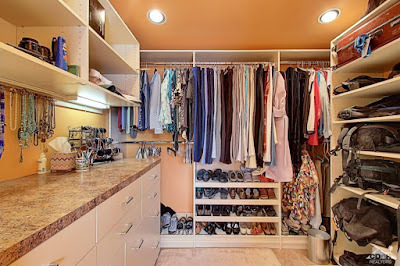 A walk-in closet and laundry room have been added onto the side of the master bedrooms, allowing for additional storage and convenience. 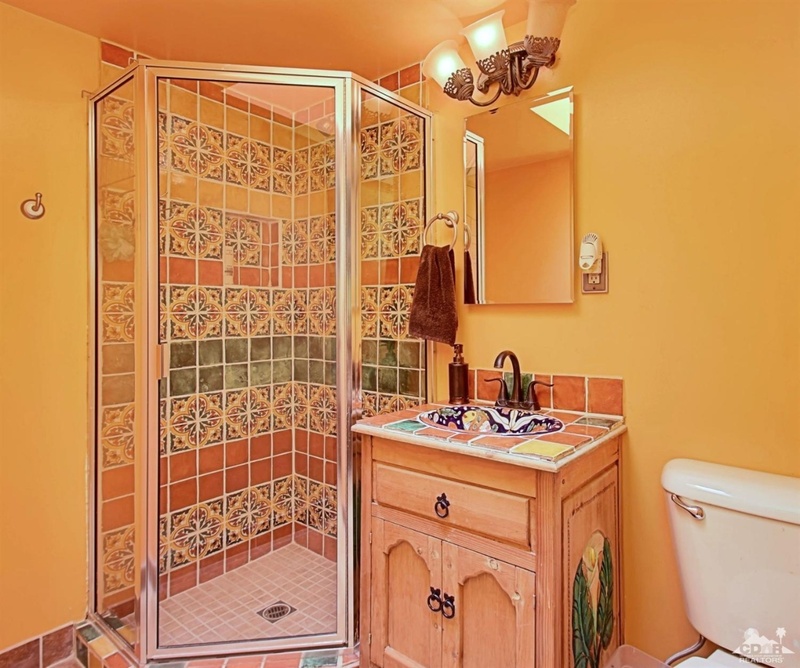 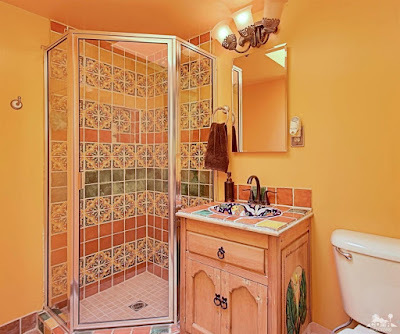 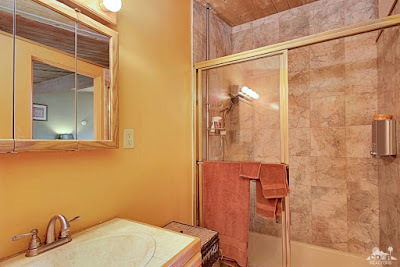 Both bathrooms have been renovated with a southwestern theme, and while they don’t keep in line with the modernist roots of the home, are clean, colorful and functional. 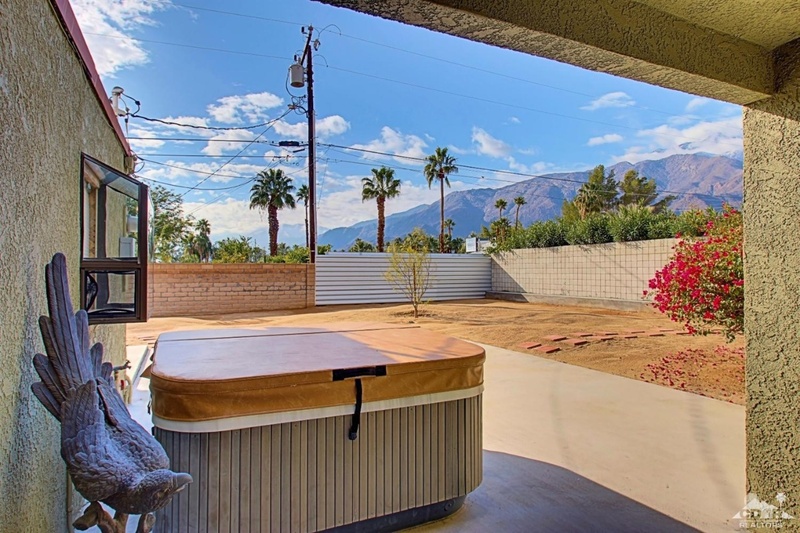 The backyard is a blank slate, ready to be enjoyed as-is or large enough for a pool. An above-ground hot tub sits just off to the side of the home, and a pair of freshly planted trees flank both side of the yard. This is a clean, move-in ready midcentury home that can be enjoyed as-is or renovated with a more modernist aesthetic.